Update, March 6: Log into Overwatch right now to get a free Kerrigan skin for Widowmaker. 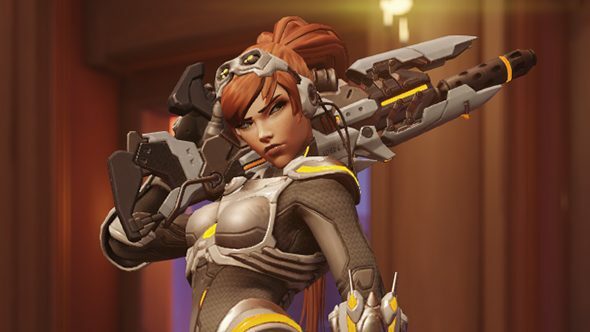 If you log into Overwatch any time between now and April 3, you’ll receive a free Sarah Kerrigan Ghost skin for Widowmaker. It’s part of Blizzard’s 20th anniversary celebrations for StarCraft, and is perhaps the single most significant item, though there are also plenty of other freebies available. The big Overwatch announcement recently has been Brigitte: here’s who she is and what she does. Beginning today, logging into StarCraft: Remastered will net you a commemorative UI skin, and StarCraft 2 will also get you a new interface skin for each race, in addition to a portrait and decal. Logging into Diablo 3 will give you a battlecruiser pet called Dominion’s Revenge. StarCraft-themed bonuses in World of Warcraft, Heroes of the Storm, and Hearthstone will be available later in the month. Original story, March 4:To celebrate StarCraft’s 20th birthday,on top of the short film that’s been announced, crossover events are taking place across Blizzard’s games, with Overwatch getting by far the best deal – a brand new skin for Widowmaker. March 31 is StarCraft’s 20th anniversary, and so Widowmaker is getting her second StarCraft-themed skin: Kerrigan. It’s a pre-infestation Ghost Kerrigan, due to the difficulties in creating a skin that retains Widowmaker’s typical outline rather than looking like Mercy (as Queen of Blades Kerrigan, the form most people know, has large bone wings), and because pre-infestation Kerrigan was a Ghost, and Widowmaker already has a skin of the other famous Ghost, Nova. The celebrations are taking place across all of Blizzard’s currently supported games though, with StarCraft: Remastered is getting a special new console skin, StarCraft 2 is being given new remastered Terran, Protoss, and Zerg console skins, a portrait, a login achievement, and special decals for each race. Both StarCraft: Remastered and “select StarCraft 2 items” will be on sale from March 6 to March 20. In Heroes of the Storm, a new portrait will be available, with a special StarCraft-themed brawl (likely the Escape from Braxis brawl) coming out and a StarCraft hero to follow on. Diablo 3 is also getting a Battlecruiser pet, World of Warcraft will get new interactions when players /salute the Zergling, Grunty, Mini Thor, Baneling, or Zeradar pets, and a StarCraft Tavern Brawl will be taking place in Hearthstone for the StarCraft 20th anniversary. All of this will be free bar the new Heroes of the Storm hero, who is currently a mystery. To unlock the other content, you’ll just need to log in to the relevant game and it will be unlocked for you, although it’s likely to only be for a limited time. Details on when it will all be available will be announced on the official site for the announcement, although it’s likely to be on or around March 31.